Junk All That Junk Mail! In an effort to take back and clear out the piles of papers in your kitchens and dining rooms, simplify our lives, and stop the excessive waste, we will learn how to “Junk all that Junk Mail”! 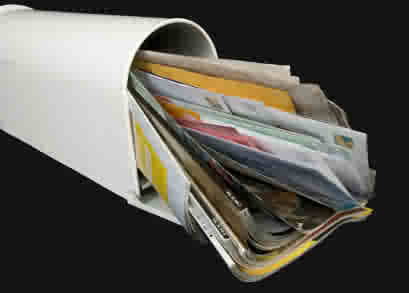 The average American adult receives almost 560 pieces of junk mail each year. And they spend 8 months opening junk mail in the course of their lives! And we wonder why we are drowning in paper! In an effort to “Get Organized in 2010″, we have been looking at the universal problem of overwhelming amounts of paperwork, and the resulting piles that usually end up in the kitchen. 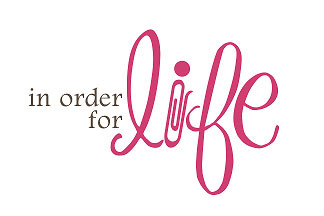 Together we have looked at how and why this problem is created in Help, My Kitchen is My File Cabinet, and have begun to create a plan of action to eliminate it, Quick Access Files, Don’t Live an Organized Life Without Them! Today, we will learn how to ELIMINATE much of the problem by eliminating much of our junk mail. It takes a bit of effort, but the savings in time, energy, and waste are well worth it. I wish I could give you one phone number to call, similar to the National Do Not Call Registry, but it hasn’t been completed yet. Check out the New American Dream site at www.newdream.org to see the progress on the “Do Not Junk” registries. Eliminate credit card junk mail. Most credit card companies use a central service to screen out people who don’t want to receive their mailings. To avoid getting most credit card junk mail, call 1-888-OPTOUT (888-567-8688). Stop junk mail before it begins. Whenever you fill out a form or place an order, always write “Do not rent or exchange my name” or ask the order taker to please “flag your file” so that your information won’t be shared. Eliminate the extra papers and advertisements sent to you with current bills by signing up for automatic payment. This will eliminate paperwork, and save you time and save money on postage. Stop the Catalogs. Most catalogs have an 800 number that customers can use to place orders. Use this same number to call and request that your name be taken off of their mailing list. You can also go to Catalog Choice at www.catalogchoice.org. This site allows you to type in whatever catalog or mailer you receive and opt out. Just be careful that you don’t sign up to receive more catalogs than those you opt out of! www.41pounds.org will do the work for you. They are a nonprofit organization working to eliminate junk mail and charge only $41 for 5 years. That’s only $8.20 per year! 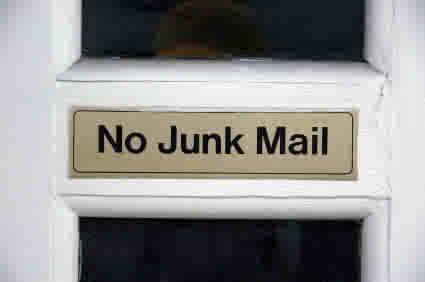 Purchase the Stop the Junk Mail Kit developed by the Consumer Research Institute. Go to www.stopjunk.com. The kit is $13.95 for the printed version ($9.95 for additional kits) or $10.95 for the PDF version. This simple kit was researched and developed by a former junk mail copywriter. The kit includes simple stop by step directions as well as pre-addressed postcards to make the job of ending junk mail simple. www.privacycouncil.org will do the work for you. The Privacy Council describes itself as “marketers committed to privacy”. Their mission is simple: they strive to collectively put an end to unwanted junk mail, SPAM and phone calls. The Privacy Council offers a full removal service, which removes your household from call lists, email lists, and junk mail lists. The initial cost for this service is $9. www.stopthejunkmail.com is owned by a young family in Boulder, CO who are passionate about saving the earth and being able to bring their kids up in a better environment and be able to “Breath Fresh Air”! For just $19.95, to get started, they claim to be able to reduce your junk mail by 90%. Their services are 100% guaranteed. This a only a drop in the bucket. A quick google search of stop junk mail brings up nearly 10 million sites. So, use my suggestions, or research your own. But certainly do simplify your life by Junking all that Junk Mail! This article was originally posted in February, 2009. It has been updated and re-posted , as I know so many of us need another reminder to “Junk all that Junk Mail!”.